Family Volley: Summer Camp-Could you send your child? Summer Camp-Could you send your child? Although not a normal post for Family Volley, excuse me for a minute while we post about a crazy cool opportunity for our son. When ever I am on the computer, our son loves to read over my shoulder. As I was checking my email today he saw the words summer camp, and was instantly curious. "Can I read that?" I said "Sure." "I would love to go to that summer camp", he said. "Can I"? 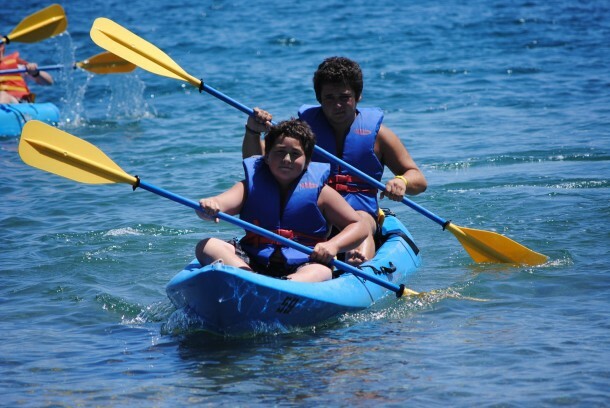 8 reasons why our son would love to go to summer camp at Catalina Island Camp. 1. He would get to spend most of the day outside. 2. He would get to spend a lot of time swimming. His favorite thing to do in life. 3. He could live in his swimming suit for a whole week. Did I mention he likes to swim? 4. He has been telling us lately that he is growing up and should be able to do more on his own. This would be the ultimate opportunity to grow. 5. He could try new things like snorkeling, rock climbing, sailing and shooting. 6. He could learn about conservation and composting. He has been trying to get us to recycle for years. 7. He could make new friends. Maybe even a penpal. He has always wanted a penpal. The only problem, am I strong enough to let him go? I am having a hard time with the fact that he is going with his basketball team to an NBA game (45 minutes away) this weekend. Looks like I am the one that needs to grow up. 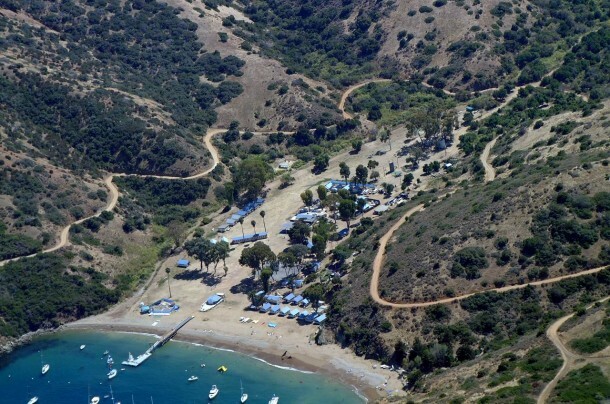 I scoured the Catalina Island Website before I agreed to enter. I was immediately impressed by not only the facility, but that the camp is Accredited. To be honest, if he wins, I hope he chooses to take me with him. I could really use a week on the water. Could you send your kids "away" to summer camp? To another state? I am entering to win a session of summer camp for a child at Catalina Islands Camps from TheSitsGirls. My oldest is 5, so I haven't gotten there yet but I hope I will be a lot stronger when the time comes. The short answer is, yes, if it looked safe and I had a good feeling, then I hope I would. The longer answer is that I didn't think I would be, but I guess I am one of those nervous moms who worries about my sons going to school, having sleepovers and generally doing too much away from my sight. I was hoping that would go away as they got older! Good luck for your son. We are sending my son to summer camp this year. He is 9. Camp is in another state but only a few hours away. It's scary and exciting at the same time. I hope the adventure includes you both! Nope. I could never do it. I can't even send my kids to the day camps they have around here. I like to have them home too much. I like to have adventures with them myself and know that they are safe at home at night. Wow- I need to get over that all soon eh? Absolutely! My oldest went to Girl Scout Camp for a week at a time every summer for several years. She also went to England with People to People at 13. My middle son went to a program in another state for ten days when he was only ten years old. If the program is safe and they are ready to do it, why wouldn't you let them? oh wow, it sounds like a lot of fun! If they did them here like they do there, I'd be up for it!